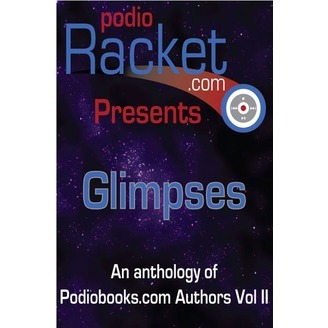 Podioracket Presents - Glimpses is a collection of fiction to accompany already established novels from Podiobooks.com authors. These all new short stories by Podiobooks.com authors are written in their own universes and offer a great way to sample these writers, get a taste of their full-length novels, or for you to enjoy short stories from authors you already love. H.E. Roulo"s short story, "Future in Hand" is a follow-up to her Podiobooks.com novel Fractured Horizon. The future isn't ready for Katherine Downs when she awakens after another long hibernation. At the wild borderlands of space, she's excited to continue her secret journey. But is keeping her secret worth losing people's lives?